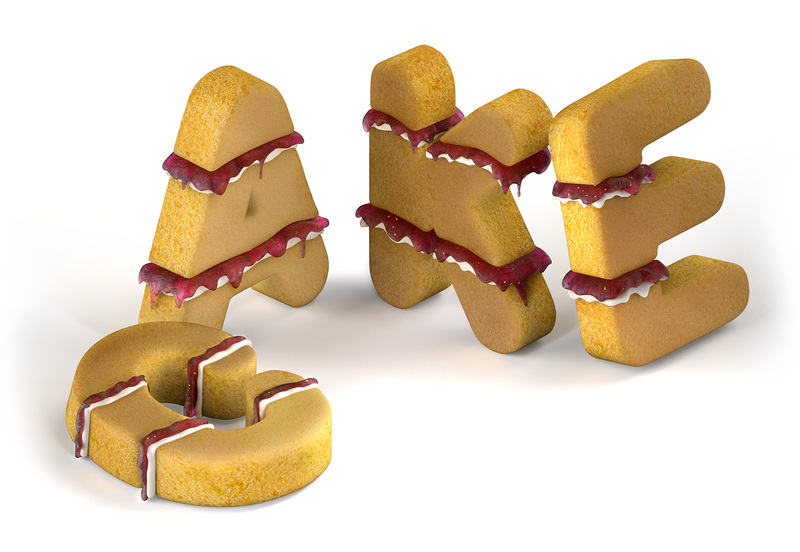 This isometric piece was created for our client and to be honest it got us SERIOUSLY hungry, quite a few Jaffa Cakes were sacrificed during the making!! 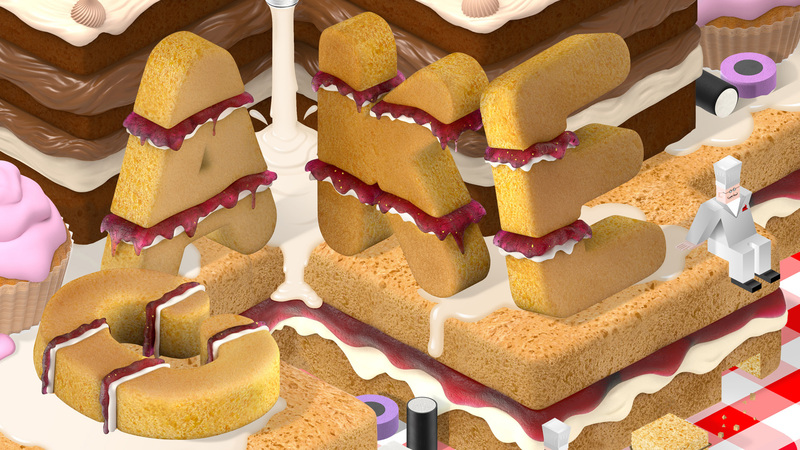 It was made using a variety of media that included 3D, Vector and airbrushing. 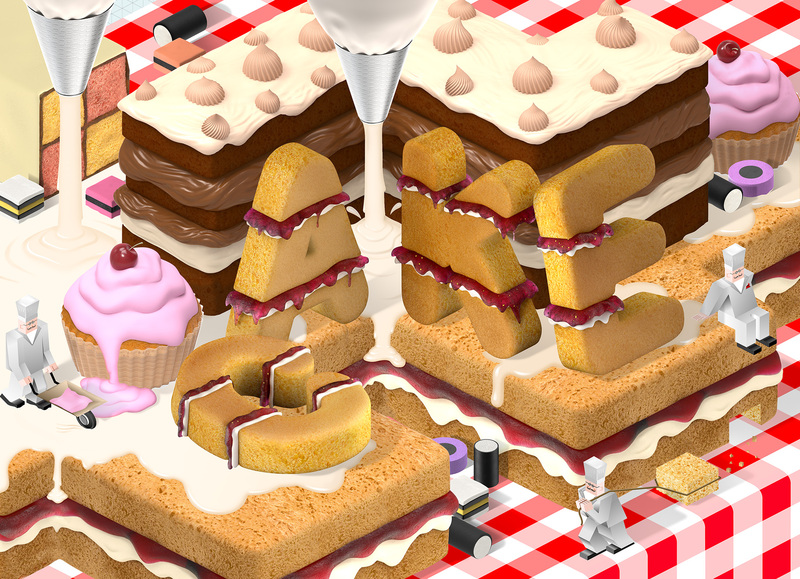 As usual our attention to detail was crazily high with hundreds of pips in each piece of jam and even isometric crumbs coming from the cake slice! 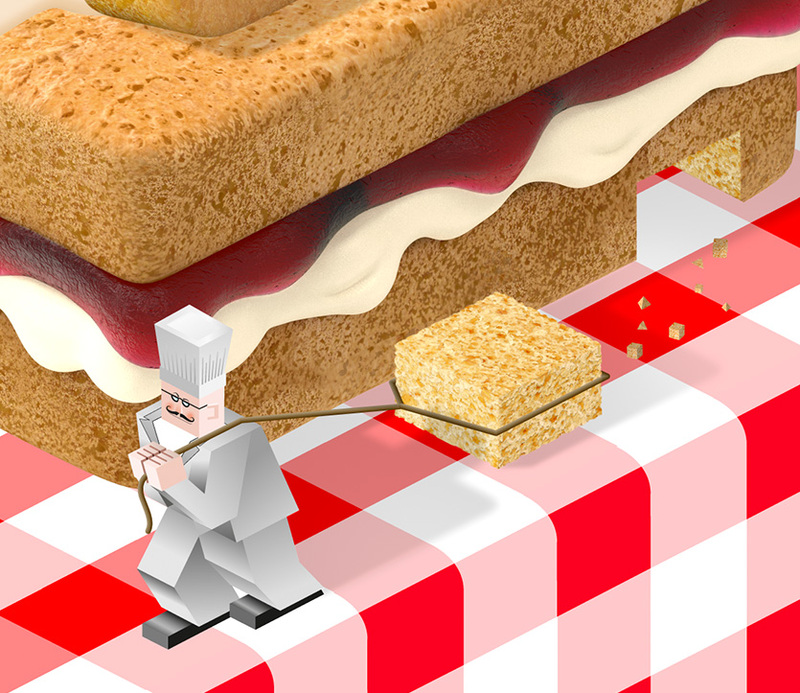 We also created three pencil renderings of our isometric French chefs. Actually we even named them! René, Gerrard and Didier. 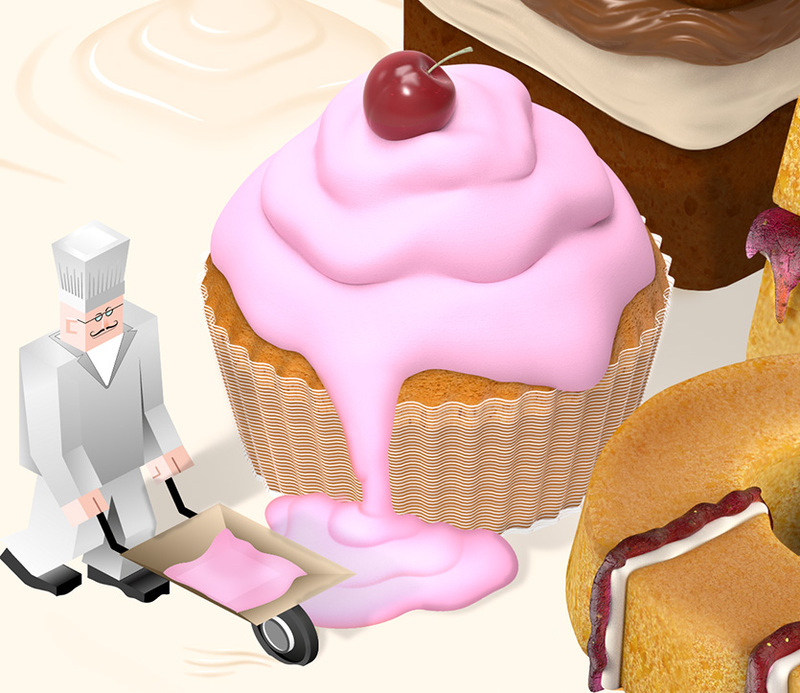 (Didier is the one on the right, obviously) As you can see they are busily at work creating ze parfait isometric cake! Délicieux! This piece was created in our isometric style. We had a lot of fun making this piece and it looked really nice spread across two pages in the magazine.